Last night, after 6 nominations (five for his role as an actor, and one for his producer role in Wolf of Wall Street), Leonardo DiCaprio took home an Oscar for his lead role in The Revenant. It’s safe to say that Leo had it in the bag, but with so many snubs, I don’t think Leo really felt confident until he walked up on that stage. Bonus: Getting to see Kate Winslet flip the $%&* out over his win. 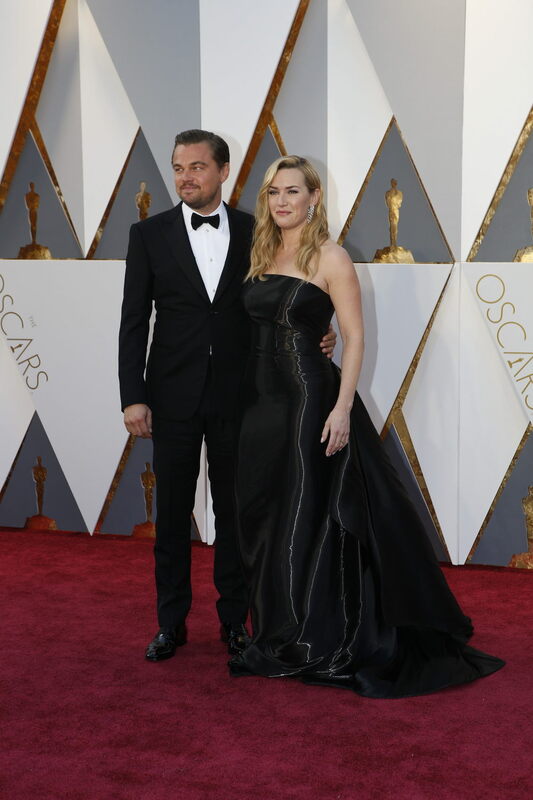 We don’t know who was more excited, Kate or Leo’s mom. For too long, The Academy rested on celebrity and red carpet coverage to carry the show. Last night we saw the one of the most dynamic and well produced award shows in recent memory. We went nutzo when Cate Blanchett started walking toward the camera and the shot tracked with her as crew members brought on prop pieces to symbolize costume design. The crew added more pieces as the categories of hair and makeup and set production were introduced. We were definitely #impressed by the creativity of the show. And how about all that BLING? We kind of loved the fact that every other person on stage discussed current political events. From Sam Smith’s candidness about an openly gay individual receiving an award, to Lady Gaga’s “Till it Happens to You” performance where actual victims of sexual abuse hit the stage, to Leo’s climate change speech, the night was activist heavy. Lobbyists must have been happy to take the night off. We couldn’t stop laughing during the movie parody montage that spoke to the #OscarsSoWhite controversy. It was so refreshing to see The Academy allow Chris Rock, Kevin Hart, and the video segments to tackle this #OScarsSoWhite issue head on. They didn’t try to hide the fact that they didn’t know what all the hubbub was about, and it peaked when the president of The Academy, Cheryl Boone, came on stage. 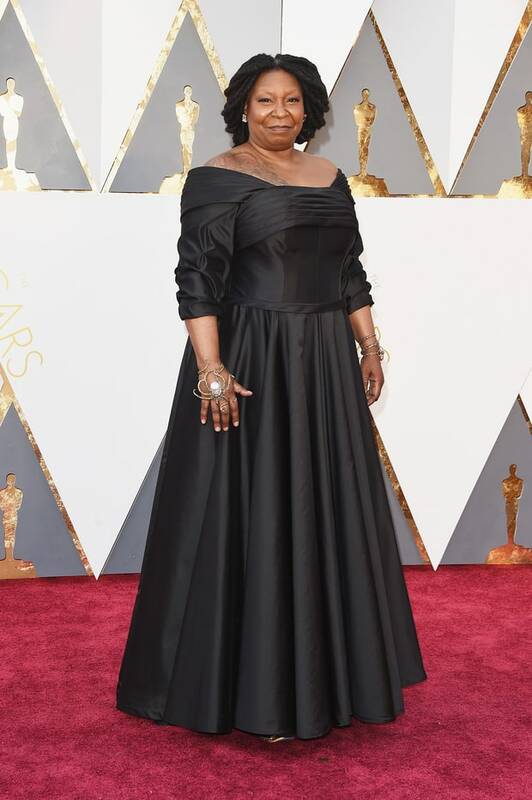 Black is the new black this Oscar Season. Whoopi, Jennifer Garner, Kate Winslet, Jennifer Lawrence, all strutted their stuff in beautiful black gowns and we were thrilled to see the fashion staple back at this formal event. Our favorite movie of 2015 was Room. Don’t believe us? We wrote a whole blog about it. From Jacob Tremblay’s performance to the originality of the story, we were very impressed with Room. One reason we loved it so much? It showcased a powerful female role that didn't surround a romantic relationship. This point was further emphasized when they presented the nominees -- every preview showcased the lead female acting with or because of a romantic partner. Not Brie. That made her win even sweeter. Don’t get us wrong, we love the work of Alejandro González Iñárritu and felt like his Oscar was fully deserved. Historically, however, the movie that wins for all the major components of productions (Makeup and Hair, Costume, Sound Design, Mixing, Score, etc.) usually takes the cake for Best Picture and Best Director. I’m sure that with every shout out, George Miller felt more and more confident he’d get the win. It felt like kind of a snub at that point when the tables turned and The Revenant and Spotlight got the … well, Spotlight. As a video production studio we’re not fond of commercials that start off with a beautiful inspirational story and lead to something completely shallow and disconnected. Anger was controlling our emotions when we saw the Cadillac commercial. The commercial highlighted several millennials daring to be different to then cut to a Cadillac rolling down the street. Definitely left us perturbed. We were hoping that Room would take the cake for Best Picture but were happy about Spotlight’s win. When we saw it last year, we left the theater thinking “that was amazing” after watching Spotlight, but felt that it would get overshadowed by The Revenant, Mad Max Fury Road, and Room. While they didn’t win in any other category, Spotlight’s win symbolized the fact that The Academy is focused on art that’s engaging and informative.